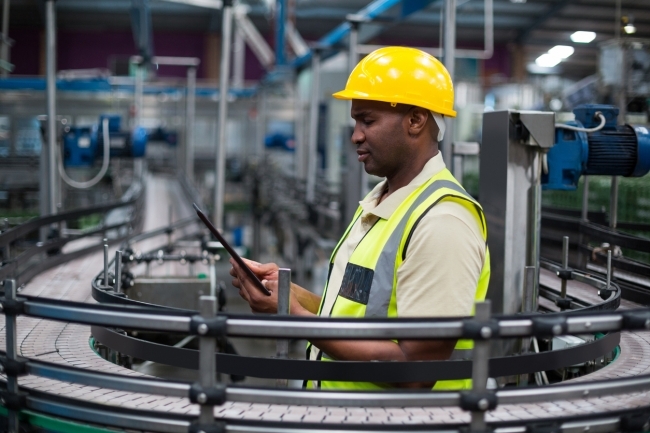 Can energy suppliers support manufacturers through the changes ahead? So, what can manufacturers – often with stretched budgets, maxed-out resources and never enough hours in the day – do to lessen the daily load? One simple solution would be to let external partners shoulder some of the responsibility; to lean on the resources of trusted experts and so achieve more with less. For manufacturing businesses looking to do just that, it makes sense to start with the essentials: like energy. 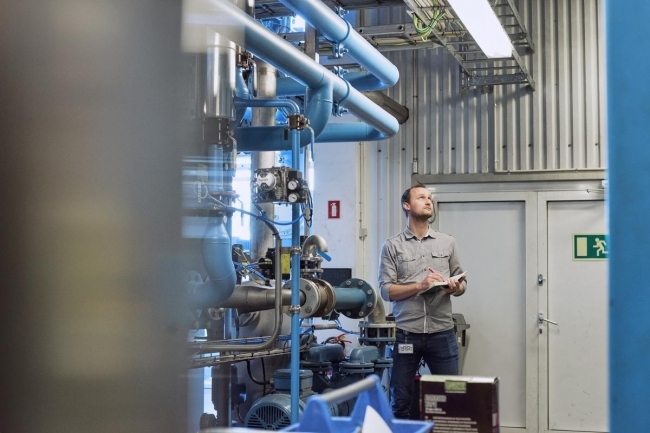 Energy is a central requirement of every manufacturing process and one area in which increased collaboration with industry experts can make a tangible difference to both operational efficiency and the all-important bottom line. When choosing their energy supplier, savvy manufacturers are therefore asking, “what wider benefit can you bring to our business?”. A global energy revolution is taking place and the UK is at the heart of it. This presents both a challenge and an opportunity for manufacturers. To reap the benefits, manufacturers will need to align their energy objectives with their wider business objectives. But doing so requires an investment of time – and sometimes money – which may not be all that easy to secure. A changing regulatory environment in energy, the pressure to make cost-savings, and a focus on energy efficiency mean that many manufacturers are now grappling with identifying and implementing emissions and cost reductions, without the luxury of additional headcount or funding. Thankfully, energy suppliers are now working more collaboratively to help their customers find innovative ways to achieve these objectives. Let’s look at some of the prominent issues facing manufacturers over the coming year. Focusing on the regulatory environment alone, several changes are expected this year within the energy sector: the next phase of energy intensive exemptions is due to start any time now, giving eligible businesses reduced environmental levies; the revised Distribution Use of System (DUoS) charging structure will go live in April; while the introduction of new measure DCP161 will charge penalties to any half hourly (HH) businesses exceeding their agreed capacity limits. Reporting requirements are changing too; the 2020 emissions reduction targets for greenhouse gas (GHG) will be published this year, with the end of the Carbon Reduction Commitment (CRC) next year. More streamlined reporting requirements should simplify the process, although there may be some challenges and the devil remains in the detail. Demand Side Response (DSR) is increasingly a staple part of any energy strategy, and rightly so as the rewards can be significant. However, the products available do change, so it’s important to keep up to date. Last year, National Grid published a new product roadmap which included a rationalisation of its ancillary services, to meet the needs of an evolving market. Some schemes, such as Short-Term Operating Reserve (STOR) Runway and Enhanced Frequency Response will not be procured by National Grid in the future, although existing contracts will remain in place. Meanwhile, other schemes have undergone a review of contractual clauses. Customer and shareholder appetite for more sustainable practices is stronger than ever, creating a clear argument for the ‘knitting together’ of energy, environmental and business strategies. The decarbonisation of the energy sector presents many opportunities for manufacturers eager to embrace a more sustainable approach but also introduces new complexities to the activity needed to manage an effective energy strategy. In the changing energy landscape, flexibility is key. There is greater opportunity for businesses to contribute their flexibility to capture new revenue, while helping to support cost-effective system balance. In addition, continued innovation in sustainable technologies means that the cost of installing embedded generation on-site is also coming down, making this a compelling option for a growing number of businesses. As a supplier, we’ve spent a long time working with businesses to understand the barriers to smarter energy management. The biggest obstacles cited are time, expertise, headcount and access to Capex. We’re also hearing that there’s more pressure than ever for energy managers to extract maximum value from their strategies. As a result, our own role has changed from being fully focused on commodity procurement and trading, to better supporting and guiding in-house energy teams – especially as energy efficiency and flexibility have become more important. To help our customers better face the challenges ahead, we’ve created Energy as a Service – a business within Ørsted that helps organisations to navigate the evolving energy sector, while reducing their emissions, energy costs and operational risk. In working with our consultants, businesses can find innovative ways to achieve their energy objectives, without additional headcount or funding. Energy as a Service takes account of individual business needs, ambitions and assets to design an approach that achieves savings for businesses, while reducing their carbon footprint. The service encompasses sustainable sourcing, energy efficiency, embedded generation and flexibility solutions, determining ways in which business sites could operate more cost effectively. For many businesses, obtaining the necessary Capex funding to install energy efficient technologies or on-site generation can be a challenge. Ørsted can fund that upfront investment on behalf of organisations, so that the payments can come out of Opex spend over a longer period – something that customers see as a real advantage. Supporting more businesses to install renewable technologies and reduce their energy consumption, without being commercially disadvantaged, is an important aspect of our vision to live and work in a world that runs entirely on green energy.